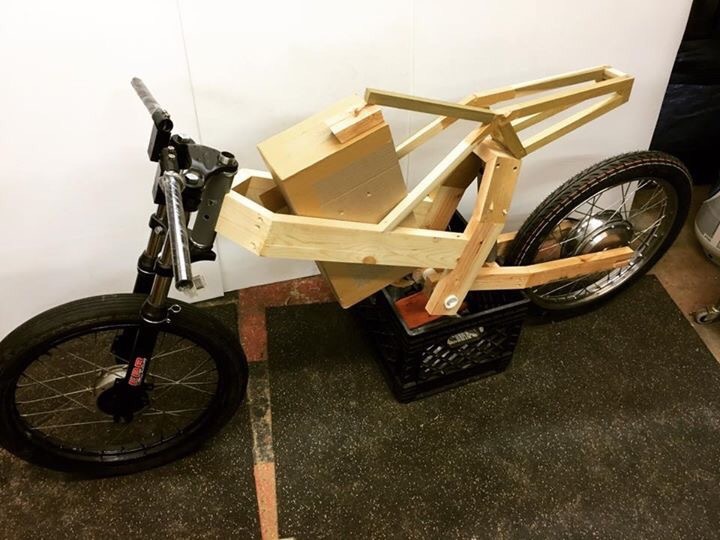 After building our walking bike we wanted to do something else fun. 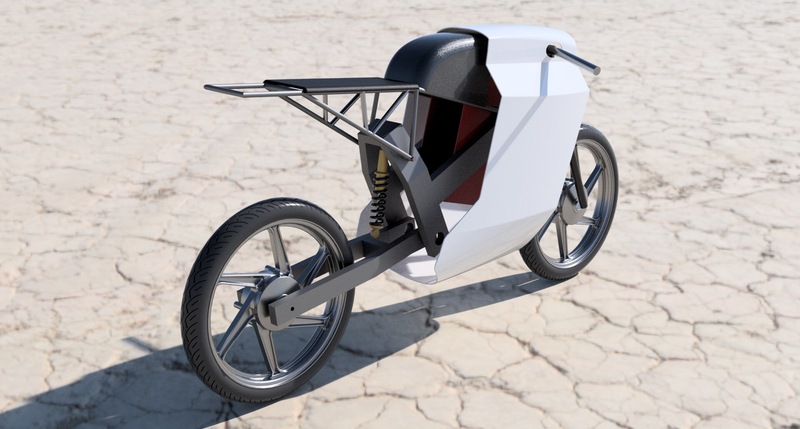 We decided to do an original concept motorcycle, but make it electric powered. The goal was to make something green but also make it look cool, so this bike was designed in a café racer style. The design was refined in AutoCAD and then transcribed to a wooden mock up. The dimensions seemed to work so we proceeded to fabricate the prototype in aluminum. We learned quickly that working with aluminum is very difficult and our welds were a bit messy. 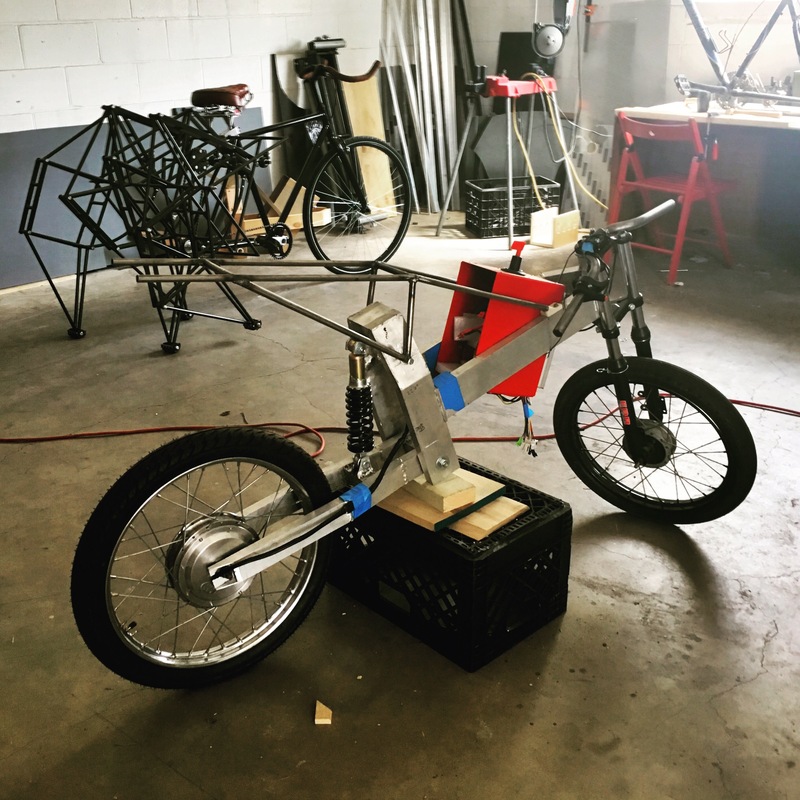 But we got the thing together, got the motor and electronics working, and were able to ride the thing around the parking lot with success. It was a lot faster than we expected! It was a good first try at an original motorcycle. We are now working on a better design and entering the project with a bit more experience. Hopefully version two is a bit better.